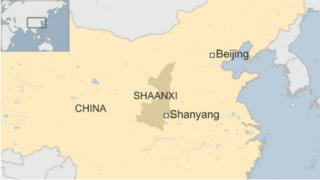 At least 26 people remain missing after a landslide in China's northwest Shaanxi province, say local authorities. Officials said 14 people had been rescued. The operations had been greatly hampered by heavy rain. The powerful Typhoon Soudelor hit southern China over the weekend bringing strong winds and rain.